The attacks launched by the United States against Nicolas Maduro, Rafael Correa, Evo Morales, Dilma Rousseff and Christina Fernandez are becoming increasingly intensive. Washington believes that the fall of one of them will spur a domino effect across Latin America and clear the continent from “populists”. 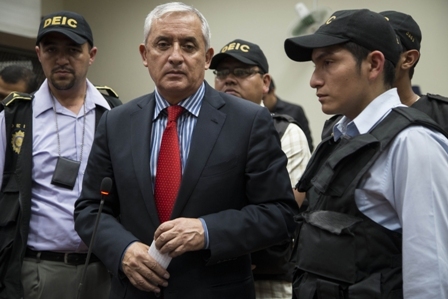 Surprisingly, the US embassy in Guatemala has conducted a special operation to dismiss President Otto Perez Molina. He was believed to be a creation of the Pentagon and the State Department. In the 1980s Washington encouraged repressions to quell the guerilla movement in Guatemala and Central America. General Perez Molina was in charge of punitive actions conducted by the Guatemalan special–forces unit known as the Kaibiles. Then the Central Intelligence Agency helped him to become Director of Military Intelligence. Washington had no doubt that as President he would obediently follow the instructions to counter the activities of regional “populists”. But Perez strived for independence. He ignored direct instructions coming from the embassy and demonstrated in every possible way that he was the one to call the shots in Guatemala. He even told his inner circle that was going to declare the US ambassador Todd Robinson persona non grata. The embassy got a tip on the President’s plans and stole a march on him. It used the fight against corruption to topple Perez. Officially International Commission against impunity in Guatemala (CICIG) leads the fight under the United Nations auspices. In reality, the Commission is controlled by the US State Department and the Central Intelligence Agency that do their best to clear the way for a “new generation” of the US henchmen into Guatemalan politics. Perez knew well that the US embassy gave discrediting information to CIGIC in order to smear him and his team. Spying equipment was installed in the US embassy building. He did not openly show his discontent with the Commission. The President tried to close the CICIG mission by the end of the year saying its mission had been accomplished. But he failed to resist the pressure exerted by the United States. Perez gave in. He extended the CICIG’s mandate for two more years. In February 2014, Ivan Velasquez of Colombia was appointed to head the CICIG. Before that he had served as a Supreme Court judge in his country. Back then he did the same thing he is doing now in Guatemala. Velasquez lent a helping hand to compromised CIA and US military intelligence agents. That’s how the US normally treats people: Moor has done his duty, the Moor can go. Pro-US media outlets in Guatemala paint Velasquez as a hero. The headlines call him the Colombian who toppled Pérez Molina. He keeps quiet about the participation of the US embassy in the investigation or his contacts with the CIA. Growing rumors, framed-up accusations, and deliberate dissemination of disinformation convinced the people of Guatemala that two mafia military groups ruled the country. Allegedly, Perez headed one of them – El Sindicato. The other – Cofradía – was led by Guatemalan vice–president Roxana Baldetti. Poorly concocted accusations often fail to stand up to scrutiny. But it usually they give a big enough time margin for the US special services to discredit and dismiss unwanted politicians. Perez had to cede under the pressure of “spontaneous” street protests staged under the slogans of fight against the corruption. First, Guatemalan Vice President Roxana Baldetti had to resign followed by dozens of high standing officials. Many of them were accused of being involved into the activities of La Linea corrupt network, which penetrated the national tax office and customs. Media outlets described Perez Molina as the key figure of this criminal group. According to them, his hostility towards CICIG was explained by the desire to protect his immense wealth amassed from shady sources. Gradually the Guatemalan President started to lose grip on the situation. He tried all kinds of different things to reverse the trend. For instance, Perez assured the US ambassador Todd Robinson that he was ready to take resolute steps aimed at implementation of legal and political reforms. It was too late. Street manifestations and other actions of protest were on the rise. On June 5, the activists of little-known group called the Peasant–Worker Alliance blocked the roads to the Guatemalan capital. The action was staged according to the pattern of action normally use by the CIA. In late August, the country was hit by a national strike that involved at least a hundred thousand people. The parliament reacted. It stripped Perez of immunity. On September 2, the President had to resign. The next day he was arrested on corruption charges, according to a court order. Taking into account the seriousness of the case, he was put into a military prison. In an interview with CNN, Otto Perez Molina said Washington was behind the events. He emphasized that the United Nations International Commission against Impunity in Guatemala was under the US control. Perez said they had told him at least three times about it. For instance, Vice President Biden said so when Perez was on a visit to Washington. He asked him to prolong the CICIG mandate. According to Perez, he hesitated for a long time because the military leadership believed that the Commission was a repressive body created to persecute the people of Guatemala. The United States allocated funds to establish it. Supposedly, the CICIG was after those who were allegedly involved in corruption, but not only. It also oppressed the people who “defended the country” during the civil war. Snap election took place in time. None of candidates got enough votes. That means they will face off in a run-off election. According to the media, Jimmie Morales, 46, has a chance. He is a comic actor, a TV anchor and a filmmaker. Morales runs on the ticket of the National Front of Convergence (FCN) supported by national conservative military and reactionary bourgeois circles. In 2013 the party chose him as its secretary-general. He can use stage experience to address mass audience and knows how to say exactly what people want to hear. His campaign theme is “Neither corrupt nor a thief.” It’s still not clear who will run against him in the run-off election. It could be Sandra Julieta Torres Casanova, the secretary general of the National Unity of Hope (Unidad Nacional de la Esperanza or UNE), which defines itself as a social-democratic and social-Christian party. Manuel Antonio Baldizón is another possible presidential candidate. He is the leader of the Renewed Democratic Party or LIDER (Libertad Democrática Renovada). The two ran neck and neck in the first round. The name of another run-off candidate will be known after a thorough recount of the votes. From the point of view of the US State Department, none of these candidates gives a cause for concern. Media analysts wonder what made Americans get rid of Perez. Corruption is widely spread among the countries of the continent. The situation is much more serious in Mexico, the US neighbor, with its high-profile corruption scandals raging. 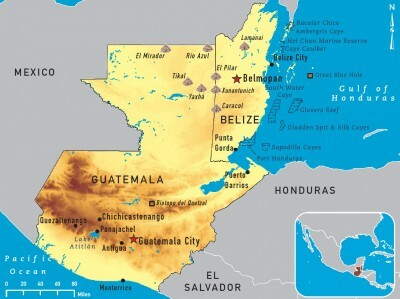 Are there any geopolitical plans for the Alliance for Prosperity of the Northern Triangle (Guatemala, Honduras, and Salvador)? Or, perhaps, Perez refused to head the regional opposition to oppose the building of the Nicaragua transoceanic canal? Did he oppose the Pentagon plans to construct large military installations in Guatemala to be used as springboards for future operations? Or maybe the United States does it just to show the people of the Central America who calls the shots in the region (as they say beat the dog before the lion)? I believe the latter supposition is right. The United States has been implementing a kind of “all brawn and no brains” foreign policy in the last quarter–century. Could have Otto Perez Molina, the President of independent and sovereign Guatemala, imagined himself getting into trouble with the United States over the International Commission against impunity in Guatemala?